Welcome to the website of «Vatfarm» LLC – national producer of medical supplies. 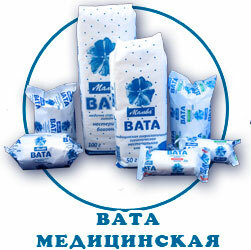 «Vatfarm» LLC is the leader among the producers of medical and personal care products of ﻿cotton-gauze in Ukraine ﻿. «Malva» brand is highly popular and proves it by traditionally high quality, advanced technologies and experience. "Vatfarm" LLC is the first and the only one national producer of feminine hygienic tampons . • We are the company with a complete production cycle of medical cotton wool. • We work with Highly qualified specialists and improve our technology, quality and consumer properties of goods. • We operate on the powerful modern equipment, control our the quality of our products at all stages of production. We work on the international quality standard ISO 13485:2005 № 0009-12. • The company is located in the geographical center of Ukraine (Cherkassy). We have our own territory and real estate. We posses the fleet of vehicles. 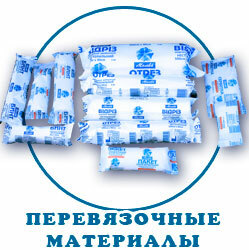 Our products are available in all regions of Ukraine and in neighboring countries. We cooperate with the largest Ukrainian distributors, large pharmacy chains, medical facilities, etc. • We have high customer service. • We are ready to offer each customer the individual terms and conditions.